Comparison Methods for Desktop Virtualization varies because the requirement for the use of Desktop Virtualization differ considerably due to their need. It is not only at the time of the introduction we noted it, but also this is the fact that we noticed – any necessary adjustments or expansion can be required during operation. A fundamental factor in the Technical Requirements is the hardware requirement for the server. The server for either the published or hosted virtual desktops is the focus here, since all the processes that previously ran on the client loads on the server and thus plays a central role in the desktop virtualization. An equally important factor is the number of workloads, so the number of sessions (published desktop) or the virtual desktops that can be run on a server with more than acceptable performance. Since FAT clients may be replaced by thin/zero clients in the course of virtualization and therefore only have a smaller hard drive, this must be compensated again by a storage system. Depending on the application, the network structure and its impact also of enormous importance. As described above for the Remote Desktop Session, the Host Published Desktop or the hypervisor for virtual desktops must be equipped appropriately. Here, a focus on the CPU and the RAM must be placed in higher order to provide the user with an acceptable performance. The hardware requirement is what is the hardware resources needed for 25 sessions/DVMs are required. So, the lower is the hardware requirement, by the software itself the better would be the rating. 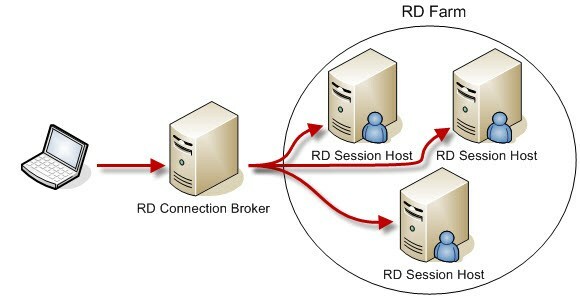 Workloads describe the load caused by remote access on the server or the host. However, not only the number of workloads is important but also the nature of the workloads, this distinction is generally made ? ?in three different ways. Light workloads: Light workloads usually uses only standard software, such as Office programs, browsers, and or accounting applications. Medium heavy workloads: These workloads will apply if the user uses multiple applications simultaneously. Example of this would be running Microsoft Office programs, ERP and CRM systems, as well as browser and email programs. High-load workloads: With high-load workloads are expected in the software development, graphic design or in areas where modeling using CAD or CAM programs are operated. To have a fair evaluation approach, Moderate workloads are selected as the standard in any assessment, this means the more sessions / DVM per core is better. A storage network or a RAID system is perfect for the client virtualization of storage space. Because of the need, the storage must always be available to a work with the virtualized desktops. Specifically because of this issue, it must be ensured that at the same time a high-availability storage network must be set up to build a virtual work environment. It is also important, the memory requirement per client increases the costs attributable to storage systems. Less disk space requirement is far better. This Article Has Been Shared 5439 Times! Database stores data and the data is managed by the database specified model. The most common form of a database system is a relational database system. Virtualization of Data Center and Management Overhead is topic that should be considered by any Company starting a new business. Cite this article as: Abhishek Ghosh, "Comparison Methods for Desktop Virtualization," in The Customize Windows, November 11, 2013, April 26, 2019, https://thecustomizewindows.com/2013/11/comparison-methods-for-desktop-virtualization/.